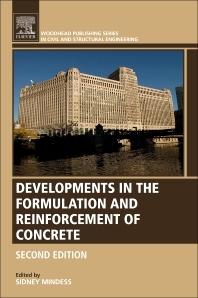 Developments in the Formulation and Reinforcement of Concrete, Second Edition, presents the latest developments on topics covered in the first edition. In addition, it includes new chapters on supplementary cementitious materials, mass concrete, the sustainably of concrete, service life prediction, limestone cements, the corrosion of steel in concrete, alkali-aggregate reactions, and concrete as a multiscale material. The book's chapters introduce the reader to some of the most important issues facing today's concrete industry. With its distinguished editor and international team of contributors, users will find this to be a must-have reference for civil and structural engineers.